allsales.ca is a bilingual information medium, advertising sales and promotions in Quebec and Canada. 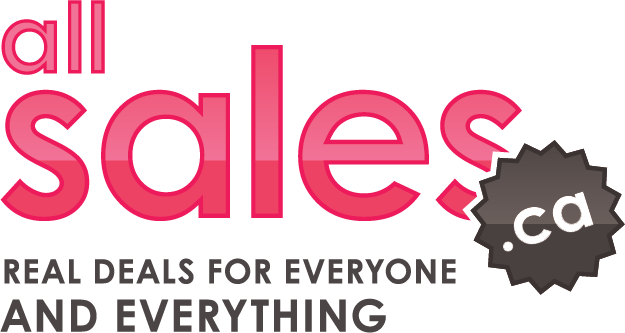 allsales.ca stands out for its distinctive, rich and quality content and platforms (website, newsletter, mobile app, blog, social media). allsales.ca is a leader in its market with nearly 200,000 consumers* using its digital platforms to get premium information about ongoing and upcoming sales. Average of 800,000 pageviews each month + more than 150,000 unique visitors. With 25,000 downloads, allsales.ca’s app offers a unique mobile experience and added features. allsales.ca’s blog offers premium content such as pictures, sales previews, best buys & shopping tips. Nearly 40,000 people are following us on social media through Facebook, Instagram, Pinterest or Twitter. Our innovative promotion services allow you to stimulate shares on social media. *Source : Google Analytics, mobile app, social media. Launched in 2009, allsales.ca is one of the few fully bilingual sites that allows you to reach simultaneously English and French markets. Our visitors pay attention to your message as they come on their own to see ads and show interest in advertising. Advertising on allsales.ca allows you to inform "shoppers" quickly, efficiently of discounts offered on your products. Our creative team of marketing experts will offer you innovative services and make sure you stand out by using our different platforms. Connecting you with targeted web and mobile users. Benefit from the experience of a dedicated representative that understands your needs. Our team ensures that your ad is producing good results and works with you to maximize your investment. allsales.ca is simply the best way to advertise our sales because of their full and varied services (contest, newsletter, videos, results analysis, etc.). We tested several more expensive media but results were never as good as with allsales.ca. In addition, the team is super friendly, professional and ultra-qualified! We had an excellent return on investment. We promoted our sale on various websites and allsales.ca proved to be the most effective and profitable. Advertisement on allsales.ca is well targeted. Furthermore, customers who visit the website are already online shoppers. We got better results with advertising on allsales.ca than with the halfpage in the Casa section of the Journal de Montréal. We consider that allsales.ca is a good tool to reach our target customers.